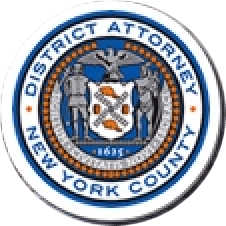 Manhattan District Attorney Cyrus R. Vance, Jr. today announced the culmination of an educational campaign aimed at raising awareness of the “evil spirits” scam. Over the past month, representatives from the Manhattan District Attorney’s Office spoke to more than 900 people at eight senior centers in Manhattan, providing tips on how to spot the scam and avoid falling victim to it. The campaign coincided with celebrations of the Lunar New Year, when scams of this nature are often committed. Perpetrators of this scam often work in groups and generally target older victims with Chinese backgrounds. In a typical scheme, a perpetrator will convince a victim that he or she is cursed by evil spirits, and will offer to cure the victim by “cleansing” the victim’s valuable possessions, such as cash or jewelry. While victims are distracted, scammers replace the bags containing the valuable possessions with empty ones, or with bags filled with newspapers and water bottles. In some cases, victims are instructed not to open the bag for a specific period of time, or else the purported effects of the prayer will be destroyed. Victims who follow the scammers’ instructions open the bags on the specified date, only to discover that their valuables and cash savings have been stolen. Representatives from the Manhattan District Attorney’s Office conducted presentations for groups at the following locations in Manhattan: the Bowery Residents Committee Senior Center, Chinese American Planning Council Open Door Senior Center, Grand Street Settlement – Grand Coalition of Seniors, Chinese American Planning Council – New York Chinatown Senior Citizen Center, Union Settlement NORC at Franklin Plaza, University Settlement Neighborhood Senior Center, New York City Housing Authority Meltzer Tower’s Senior Center, and Asian Americans for Equality Care Center for Seniors. Be aware of your surroundings and remain on alert for people eavesdropping in public places, such as parks and coffee shops. Scammers may later approach potential victims on the street, and use any bit of personal information they overheard to gain a stranger’s trust. Beware of anyone offering to rid you of bad luck or evil spirits. Scammers often claim to sense the presence of malicious spirits that plague an individual’s family, and warn that such spirits will make the victim’s loved ones sick and prevent deceased family members from finding peace. Do not give your cash or jewelry to strangers.